Contemporary. High quality. New construction. This is one of the most intelligent floor plans you will find. 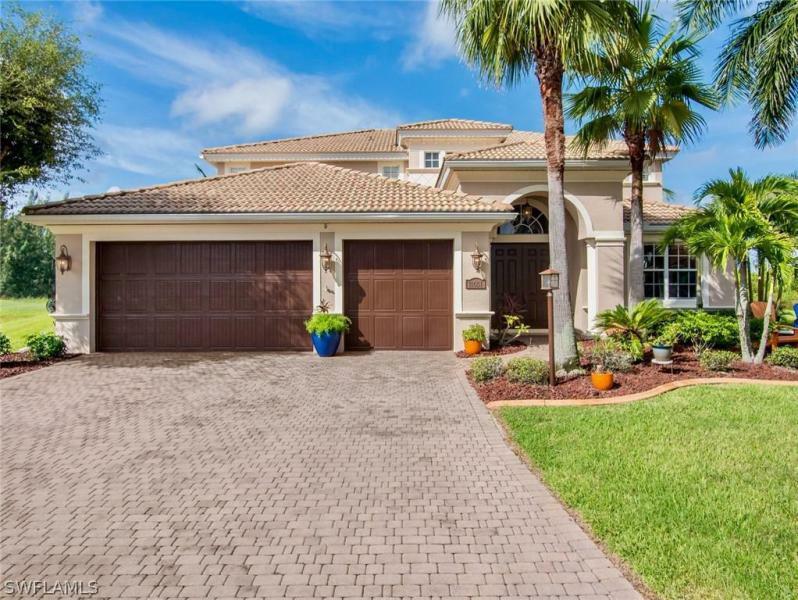 With a living area of over 2,500 sqft, oversize lanai and a total area of almost 3,450 sqft this home has everything on your checklist- and more. Starting with a spacious master suite with double sinks and walk through shower with a large integrated glass element, additional 3 large bedrooms and two full bathrooms, powder room, open concept floor plan, spacious kitchen island, dining and great room overlooking the pool and southeastern facing intersecting canal. The contemporary style features 50 recessed led lights throughout the house, off white cabinets, all new black stainless steel appliances, light colored flooring and an outlet in the garage prepared for a charging station. Up to the newest codes, the entire house has impact resistant windows and electric kevlar drop down shutter for slider protection. 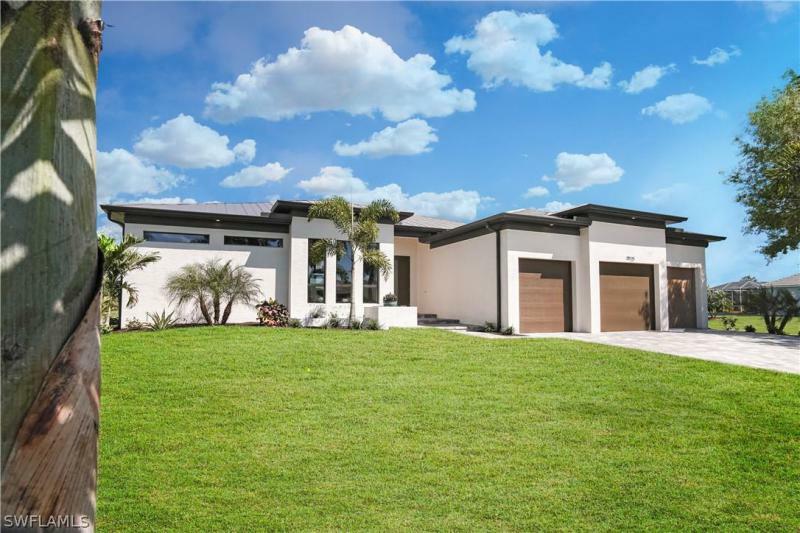 Are you looking for a contemporary home on a wide fresh water canal intersection across from the coral oaks golf course and 150 ft of canal frontage- stop right here and schedule a private viewing today! Completion will be in june 2019, call for updated pictures/info. 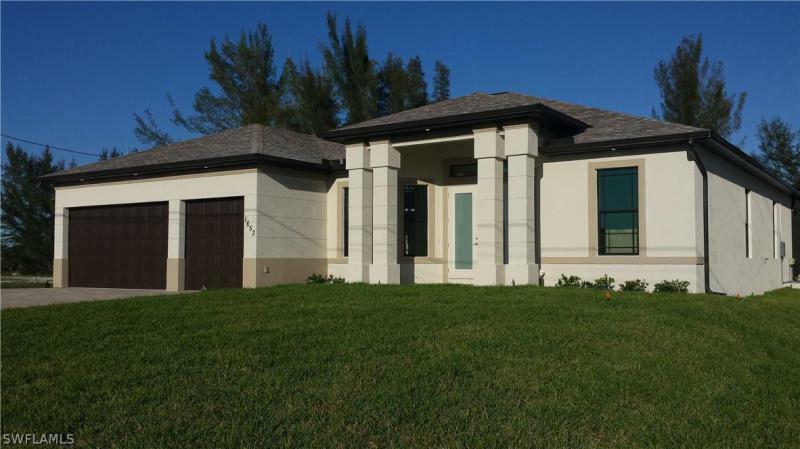 Seller is motivated to sell this new construction pool home on a gulf access canal! 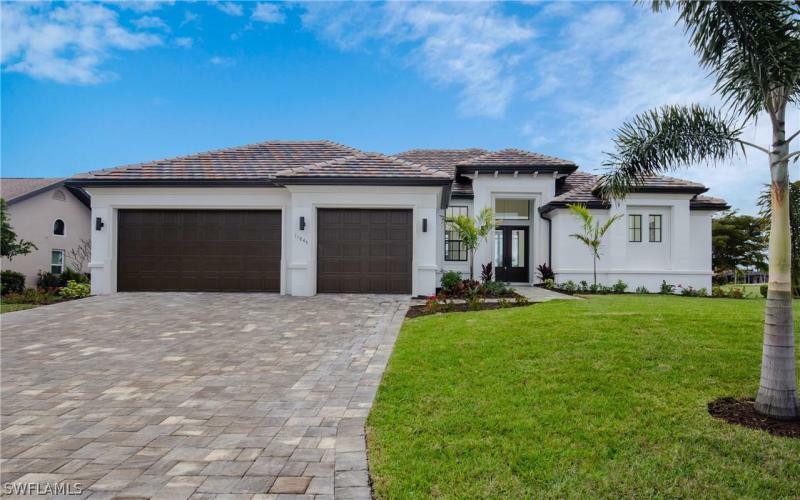 The kitchen has gorgeous level 1 granite counters, hardwood cabinets and kitchen aide stainless steel appliances plus an oversized island that overlooks the pool and canal great room has a wall of sliders that opens to massive pool deck. Separate his and hers granite top vanities in master bath, with large custom tiled walk-in shower and separate soaker tub. Tile floors through out the home. This 2104 sq ft home includes 2 guest bedrooms, one with a full pool bath that can serve as a 2nd master suite and a full guest bath. Both pool bath and guest bath have granite counters, hardwood vanities and custom tile. The 13,000 gal heated salt water pool has a massive pavered pool deck that extends across the entire back of this home huge 3 car garage with epoxied floor. Extra wide pavered driveway. Covered 8000 lb boat lift and cantilever dock on sunfish canal. Gulf access via north spreader canal. Near coral oaks golf course and upcoming seven islands development. Come see this home ! 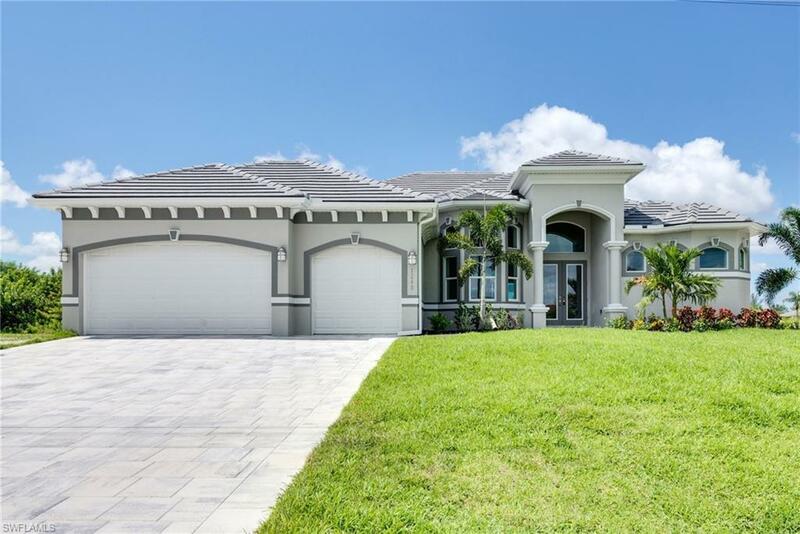 Cape coral, fl - gorgeous home located on a cul-de-sac in the cape royal community! This community features estate homes on over sized home sites. The vanderbilt floor plan is a very popular plan and this home is like new after being freshly painted inside and out. A tastefully decorated 2 story home featuring crown molding, warm colors and a digital security system with closed circuit cameras. Gourmet kitchen with granite counter tops, stainless steel appliances, real wood cabinets with an island and butler pantry. The grand master suite has a tiered tray ceiling with beautiful crown molding and dark wood floors. Sliders open to overlook the pool and a 27 hole championship golf course. All bedrooms include custom california closets. Pool area includes an outdoor kitchen. The upstairs loft can be used as a den or office. No expense was spared in this home from the intricately etched drywall to the free form pool, this home is ready to move into today. New appliances, new air conditioners & handlers over $104,000 in total upgrades. You owe it to yourself to see this home. Perfectly maintained 3br + den, 3. 5 baths 2-story home, beautifully situated on the 7th hole of the king golf course in cape royal. This house has it all: solar and electric heated pool with a pool cage up to the second floor balcony, a brand new pool finish and a baby fence. 3 a/c units for highest energy efficiency, a new tile roof in 2016, hurricane shutters, viking kitchen appliances and custom cabinetry with granite counter tops in kitchen, baths, etc. The master suite upstairs features a built-in kitchenette, a sitting/exercise area, a custom built walk-in closet, a balcony and a huge bathroom with 2 toilets, a jetted tub, 2 sinks and a shower. Downstairs is another suite with access to the pool and a 3rd bedroom with an adjoining full bathroom. The den can easily be converted into a 4th bedroom. The dining area has room for an over sized table. Additionally to a spacious family and separate living room, there is also a nice breakfast area, a powder bath, a big walk-in pantry with shelving, and a laundry room with a washer and dryer. With its 3400 square feet under air, a big covered lanai area and a huge front porch this house is great for entertaining.